Cranes are heavy-duty machines used heavily in the construction industry for lifting and moving heavy loads and materials. 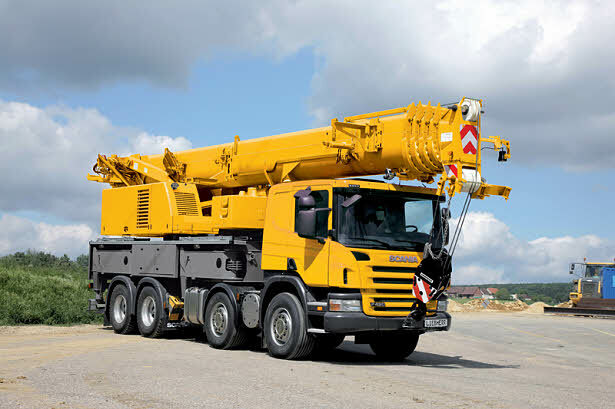 There are many different types of cranes available on the market, but one common type of crane that is very popular among crane operators is the truck crane. Truck cranes are actually a unique and functional combination of a truck and a crane attached to the rear end. These machines today can be seen at every construction site and are used for moving and lifting huge loads and materials. In most crane trucks, the crane is mounted on the cottage of the truck for stability and increased flexibility. Truck cranes do not need additional vehicles for transportation, what saves not only time and money, but labor as well. Usually, the crane trucks are operated by one person who performs all the duties from the cabin. There are many manufacturers of crane trucks with global networks of dealers. Therefore, the truck cranes can be found almost in every country around the world, and in this modern age, many truck cranes for sale can be found on the Internet. If you are looking for truck cranes for sale, we present you the three most popular brands that offer various crane trucks online. Liebherr – Liebherr, founded in 1949, is one of the most popular and world known manufacturer of truck cranes and other types of construction and mining equipment. The truck cranes from Liebherr are characterized with exceptional economical alternatives, ready for immediate use once they get on the construction sites, and capability to be driven even on open roads. Cost-effective machines with low operating costs and superior performance, the Liebherr crane trucks are some of the finest from this category. Kato – Another popular truck crane brand is Kato. Kato is a Japanese crane manufacturer, founded in 1935, with headquarters in Tokyo. At the beginning, Kato manufactured only locomotives, but later expanded its product range by including truck cranes, tractors, rollers and engines. Today, the truck cranes for sale from Kato are equipped with microcomputer control system that monitors the status of the crane. Reliable and durable, with enhanced electronics, Kato truck cranes can be easily found on online industrial machines market. Manitowoc – The third most popular crane truck manufacturer is Manitowoc. Manitowoc has a strong global presence in the construction equipment market, and offers fine crane trucks with advanced and innovative features. The Manitowoc truck cranes are a popular choice among the Internet buyers, thanks to the amazing features like long reach, quick set-up, a high loading capacity of the boom and a support services all around the world.